The Wharton Nonprofit Board Fellows (NBF) program is entering its 13th year. We are always looking to deepen our relationships with existing partners and expand the group of nonprofits we serve. Organizations are currently partnered with fellows for the coming academic year. The next hosting period will run from March 2019 to May 2020. September through April: Fellows serve as visiting board members and attend all meetings and relevant subcommittee meetings. Is hosting a nonprofit board fellow a good fit for your board? Hosting a nonprofit board fellow should be a mutually beneficial relationship. We look to partner with boards and organizations that can benefit from the work of the fellow, while simultaneously offering opportunities for the fellow to learn and develop. Wharton MBA and Penn Law JD students selected to participate in this program go through a selection process that includes both a written application and interview. The program typically receives 120 applications for 40 fellowship positions. In our experience working with MBA students, they offer a strong work ethic, and a diverse set of skills and experiences to the board with which they are paired. In the past, selected participants have work experience at firms such as McKinsey & Co., Morgan Stanley, Bain, Google, Bank of America, Booz Allen, Chase, and IBM. We anticipate our fellows from Penn Law will have equivalently broad and rigorous work experience. In addition to their diverse backgrounds, robust work experience, and demonstrated dedication to nonprofit service, fellows are selected for their orientation as learners and an interest in leadership development. All Nonprofit Board Fellows have prior volunteer experience in the sector, but none have significant experience with nonprofit boards before to coming to Penn. Additionally, fellows connect with their peers multiple times each month to reflect on their experiences, share ideas and insights, and support one another. The fellows also examine their own leadership development under the guidance of the NBF Executive Committee, which is composed of staff and a select group of students who have significant experience with nonprofit boards prior to coming to Penn. Visiting Board Members should be contributing positively to the work of the board, in a scope determined through mutual agreement with the board. be expected to make a financial commitment to an organization (i.e., participate in an annual give/get, or be included in board giving statistics). However, visiting board members will be expected to attend all board meetings, should serve as an active member of a board subcommittee as applicable, and are expected to participate in all board discussions and initiatives as appropriate. 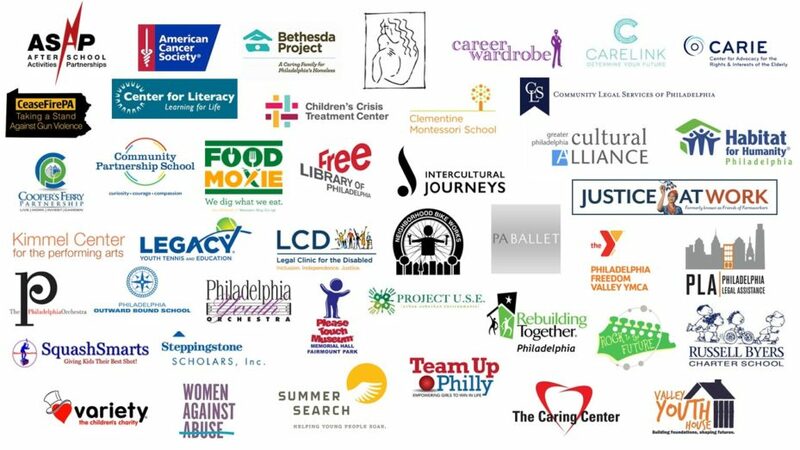 We currently have 80+ local nonprofit organizations we consider partners. Because there are more organizations than students in the program, there may be years when your organization is not paired with an Apprentice Board Member. Although it does not guarantee a fellow-board pairing each year, this model gives you the flexibility to opt out of participating in any given academic year and then opt back in during the subsequent year. The fellow-board matching process is largely driven by each fellow’s interest and passion. If paired, you will get a board fellow who is excited about your organization’s work. Provide a staff-level point of contact for the fellow and the staff of the NBF. This person should be easy to contact, and able to connect the fellow with information about the organization in an effort to build context for the fellow’s work with the board. Provide a board-level point of contact for the fellow. Ensure that the board is aware of the fellow’s role and expectations for engaging as an apprentice board member. Provide the fellow with information regarding orientations, meeting schedules, committees, and other board resources. Endeavor to place the fellow on a board subcommittee, based on the organization’s needs and the student’s interest. Give feedback to the Wharton Leadership Program about the student and the program twice yearly–once in November/December and again in April when the program concludes. For more information on becoming a host organization, please contact Dan Kaufman (kaufd@wharton.upenn.edu or 267-746-8768).